A naturally rich and deliciously creamy whisky, with a wonderful spicy sweetness brought by the maturation. 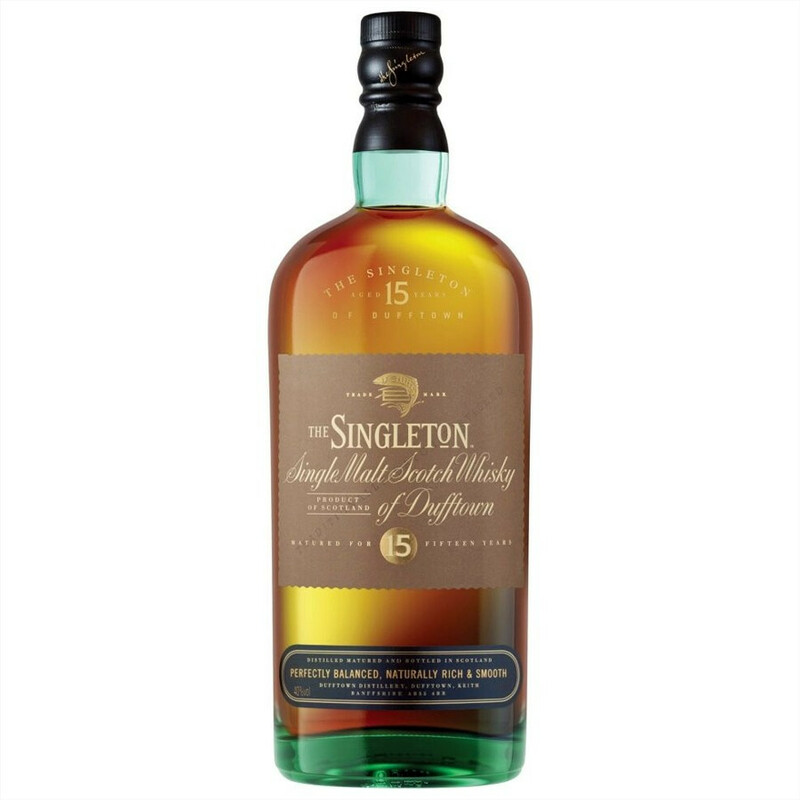 This 15 Year-old Singleton of Dufftown is a Single Malt resulting from the combination of American oak casks that contained Bourbon and European Sherry casks. This is a naturally rich and deliciously creamy whisky, with an amazing spicy sweetness brought by the maturation. The Sherry cask maturation accounts for the depth and intensity of the aromas. Deeply refined, this Singleton possesses a complex and fruity nose, with a deep palate texture perfectly balanced between spices and fruits, and a sweet dry finish. Nose: rich, dominated by mild spices. A profusion of delicate aromas: oranges, apples, caramel, honey and ripe autumn fruits. Hints of malt and cereals. Adding water reveals waxy notes of walnut, and a light smoky flavour of charred wood. Palate: smooth and sweet. Warm, light and silky with a profusion marked with a lovely fruitiness, spices, and malt. Finish: rather dry. Opens the way to notes of pear, mild spices and camomile.